The INTERREG IVA Programme for Northern Ireland, the Border Region of Ireland and Western Scotland is a European Union supported Structural Funds Programme which seeks to address the economic and social problems which result from the existence of borders. It supports strategic cross-border co-operation for a more prosperous and sustainable region. – To increase the level of involvement by the local community leading to enhanced participation and income generation opportunities. – To encourage the ongoing support of marketing stakeholders with a view to championing the project as a flagship for Donegal and Larne. 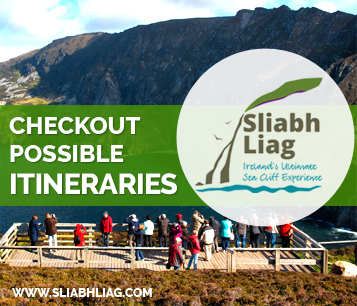 – Create a new “Must See” Visitor Experience at both Sliabh Liag and The Gobbins. – Create a World Class Walking Destination at both attractions. 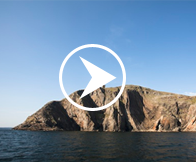 – Provide an improved visitor management system including transport links to and from the cliffs. – Increase awareness amongst visitors of the SAC environment. – Encourage local involvement and new business opportunities.